Andreas V. Zachariou & Co LLC is recognized as one of the leading law firms in Larnaca. The friendly and professional legal team of the firm and the close co-operation between the firm’s members and associates have led it to be considered as one of the most professional and trustworthy law offices in Cyprus. We aim to provide the best services in every legal field, together with our various associates in Cyprus, Greece and Europe. 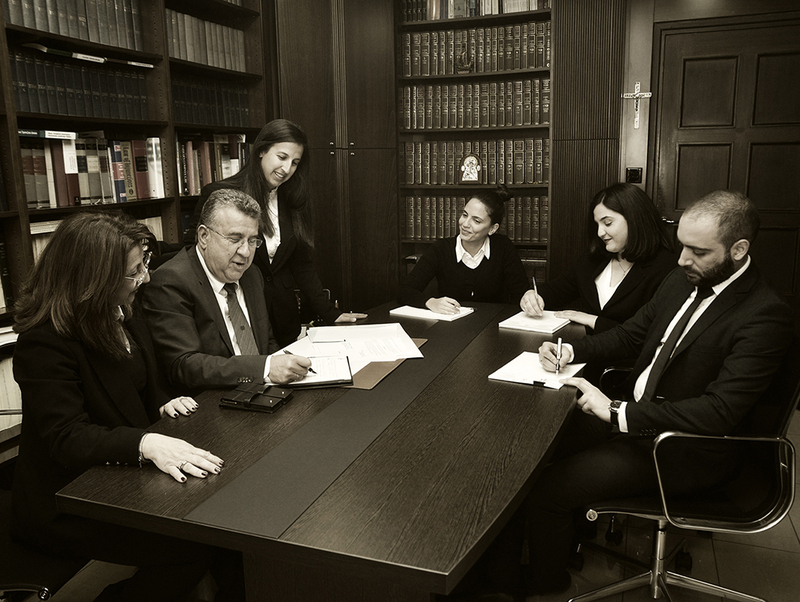 The firm’s work involves the provision of legal advice and the undertaking of cases in many legal fields of Cyprus, European and International law such as banking and finance law, family law, corporate law, civil law, criminal law, sports law, litigation, immigration law, intellectual property law, trust law, tax law and tax planning, Insolvency Services and many other areas of legal interest. As from 31.7.2018, we have been among the first entities that were included in the Register of Providers of Cyprus Investment Program services, thus enabling us to assist our clients with obtaining Cyprus citizenship, in accordance with the criteria set by the newly amended legislation/regulations. There are 3 main partners in the firm, Mr. Andreas Zachariou, Mrs. Aleca Zachariou, and Ms. Yiolanda (Georgia) Zachariou, 3 lawyers, 5 members of administrative staff as well as many associates all over Cyprus and abroad, who contribute to the responsible and successful pursuit of justice and guarantee the provision of the highest possible quality of services in a friendly and pleasant environment. The team in Andreas V. Zachariou & Co LLC is striving to ensure that our clients receive an honest, straightforward treatment and we are committed in pursuing justice through an honest, professional and ethical manner. Our firm is committed to offering clear advice and guidance to every client, enabling them to understand the legal challenge they are facing and work close together with their sole objective of reaching the best possible results. Our proven case investigation, preparation and representation are confirmed through the successful results we have been offering to our clients throughout the years.